Does your strategy reflect the new normal? We live in unpredictable times where the rules are changing and the formulas for success are disintegrating. The only constant is change and it requires a new level of leadership that is able to anticipate these changes and mobilize teams to capture new opportunity. 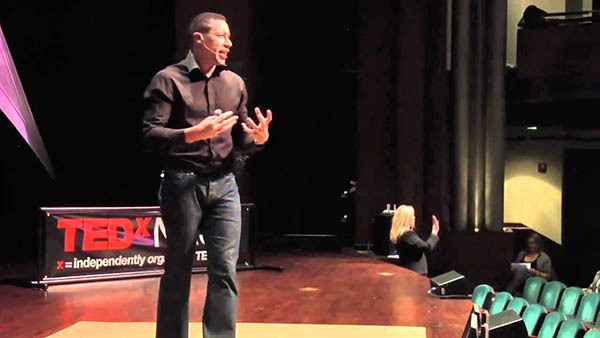 In this talk, bestselling author and thought leader Frans Johansson shows organizations how to innovate, grow, and create a self-sustaining culture that can withstand even the most volatile conditions. His approach redefines unpredictability as opportunity, diversity as profit, and execution as strategy. 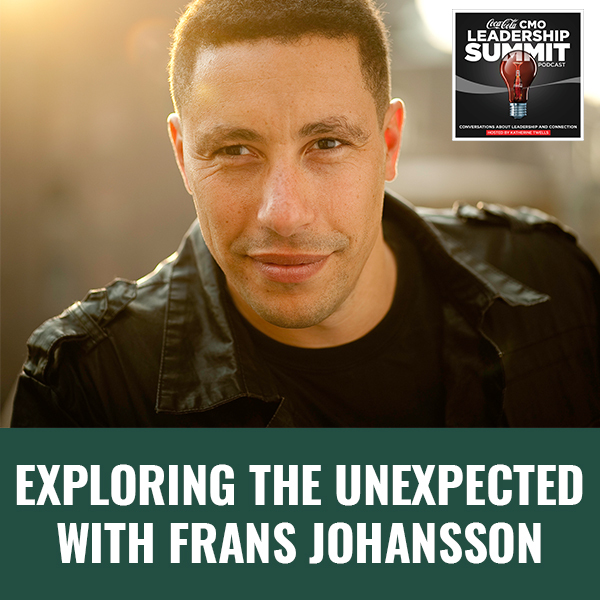 I am pleased to be able to bring you a conversation with Frans Johansson. We first met Frans at the 2017 CMO Summit in Silicon Valley. We’re having a conversation and a fascinating one at that. Frans is all about the power of intersection. I just have to share this quote that you can find on his website. “I woke up one morning in March 2001 with a clear vision. I saw in my mind’s eye two light beams intersecting with each beam representing a different field or culture. It stayed with me for less than a minute, but I felt that perhaps my whole life had led up to this vision.” Indeed, Frans’ life has been a source of many creative intersections. I want to share with you a little bit of his background before we begin. 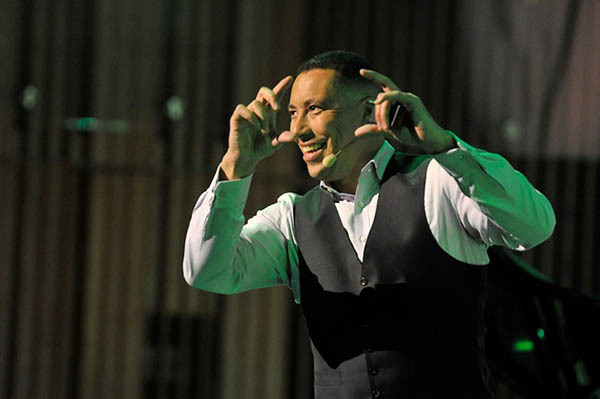 As an author, entrepreneur and consultant, he has spoken to audiences around the world from the boardroom of large corporations to villages in developing countries. 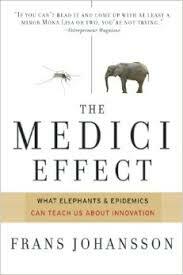 His debut book The Medici Effect shattered assumptions about how great ideas happen and was named one of the best business books on innovation by Businessweek and one of the top ten best business books of the year by Amazon.com. His follow-up book, The Click Moment, completely obliterates the idea that in business you can strategize, plan and analyze your way to success. Raised in Sweden by his African-American Cherokee mother and Swedish father, Frans has lived all of his life at the intersection. He has founded a software company, an international healthcare firm and a hedge fund. 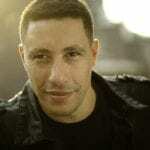 He has written articles on healthcare, information technology and the science of sport fishing. Frans earned his BS in Environmental Science from Brown University and his MBA from Harvard Business School. He is the Founder and CEO of The Medici Group. 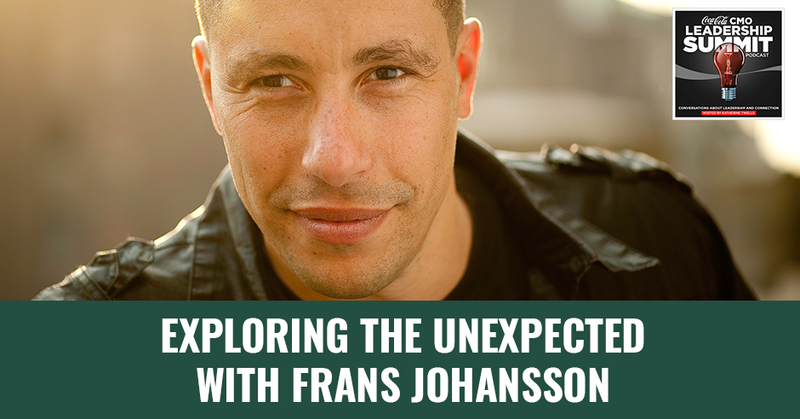 Without further ado, I hope you enjoy the conversation with Frans Johansson. Frans, I just wanted to say welcome to The Summit Podcast. I should say welcome back because you’ve actually already been on the podcast, but that was your Silicon Valley talk. This time we get to have a conversation, which is way more fun. I’m so happy to have you here, but before we launch into the questions and go down these corridors we’re going to walk down, I want to reground everyone on you, because some of the audience did attend the summit in Silicon Valley and heard you speak. A lot of them have not. We have audiences from everywhere. I like to ground everyone like who are you? What’s your backstory? Tell us a little bit about Frans. I’d like to open every presentation I give with a very quick recap of my life because it tells the larger story of how I think about innovation. I grew up in Sweden. My mother is American, she’s black and Cherokee. My dad is Swedish, which makes for an interesting mix. It informed me how I looked upon the world. I saw that when they were able to share ideas between the different countries and cultures and ethnicities, interesting new things came about from it. I keep on seeing this play out over and over again. I went to college at Brown University and then I started a science magazine there. The science magazine was an effort to bring together all the different sciences; geology, chemistry, physics and so on, because I had noticed that when that happened, very new interesting ideas came about. That magazine itself called the Catalyst has been quite a success in telling that story. My entire life was about intersections and about breaking down silos between cultures and fields and industries. I kept on seeing how powerful that was. After that, I started a company in Baltimore. It’s a healthcare company. It was based on research at Johns Hopkins. She was the first black female tenured professor at Johns Hopkins. I kept on seeing how her perspective, it was able to get her to see things that others had missed. This came through and then I went to business school at Harvard. I started another company, a software company and here again, I could see the power of bringing together perspectives of different industries. All of this stuff came to head when I thought of an idea to write a book about these intersections, about this combination of concepts and ideas. That became The Medici Effect. 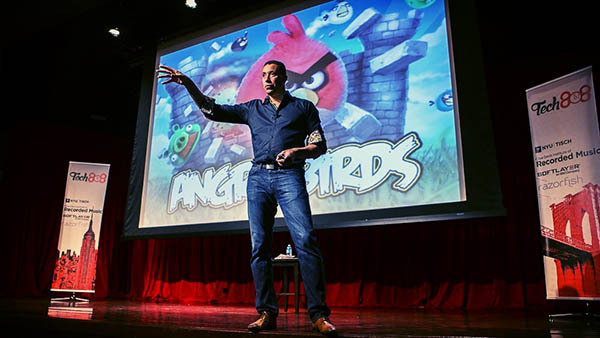 It was a game changer for my life because ever since then, I’ve been able to both travel the world to talk about this, but also build a company where we have some of the largest brands on the planet to transform themselves. How they innovate, how they think about innovation, how they think about talent with innovation and how they think about innovative ideas. Isn’t it interesting how a childhood informs our destiny and our future? Here you came from this very not only interesting but powerful combination that then leads you into all of these natural places where you could take that origin story and turn it into something that is such a fascinating narrative now and one that’s very relevant. I interviewed several entrepreneurs many years ago and there’s this fascinating mashup happening between the large traditional hierarchy of corporations and this whole world of startups and innovation and change. Tell me a little bit about how you see the intersection of those two worlds. The traditional world and the new emerging world. Let me make a comment about you talked about our background, our childhood and our origin story. I started smiling when you said origin story because an origin story is often used when we talk about let’s say a new superhero movie. What was the origin story of Spider-Man or The Hulk? The reason we talked about that is that we want to know what made you who you became now. I find myself so often in conversations wanting to go back to the origin because it informs whoever I’m talking to is now. Not just people but organizations too and brands. I want to make a comment on that. I love that comment and I think it’s very true. The second piece about how do you bring together the more traditional and large scale with the newer and the more startup feel? This was where you were thinking up the next piece here. To me, it has been absolutely fascinating thinking about that journey because here’s what happens. We often tell large companies and corporations, “You should act like a startup.” It turns out that in a large company, if you have an idea and you want to make that idea happen, you have a much tougher challenge than if you’re in a startup. There are some things that are to your benefit, but most of them are against you and here’s why. When you’re in a startup, you have one aim or one direction, which is you got to create a product and you got to sell it. You can all align around that goal. You can get the team going and as the team expands, you could celebrate the new customer, the new clients and the new development. Inside of company, you have all of that. None of that is different but then you also have a whole other front on this war that you’re fighting, which is the company itself. You have to do all of that while simultaneously trying to figure out how to navigate the company and how to sidestep. You’re fighting two fights at the same time inside of a company. This is the main difference that is overlooked. It’s that you can use approaches and principles that startups use. Whether that would be called things to small executable step or ads out or whatnot. You also have to have a tremendous facility skill set that navigated the company itself. I’ve worked in the corporate environment for my whole career. As I delved into these conversations with the entrepreneurial cultures and how do you mesh those together, there are so much purpose and mission. A lot of these startups are doing something and the founder believes in what that is going to create in the world. What’s been fascinating to me, and I’ll speak on behalf of Coke because that’s certainly the world that I know. You talked about origin stories as we were chatting about that on both sides. Coke has this fascinating origin story of unification. Going back to the Hilltop ad where we had young people from across the globe joining together to sing that song, I’d Like to Teach the World to Sing, and there’s been this whole story of unification. As we sit here in the year 2019, I think of how important that message of unification and diversity and how we can all share the experience of a Coca-Cola together. I’ve found that the more we as a company tapped into our mission and our purpose like the entrepreneurial organizations do. There’s so much fire and passion that comes out in that and you tend to break down those walls and find ways to be more agile. At least that’s what I’m noticing right now. Like the ad that what people referred to as the Super Bowl ad that you had. It was actually aired before the Super Bowl. The whole message of it was about diversity and coming together. Particularly in the air that we’re living through now, this is becoming an incredible topic not just in the US but all over the world. Those companies that have those stories are in a very strong position. Oftentimes, we think about these stories from the brand perspective. In other words, how do we communicate to the world who we are? We could just as much communicate internally who we are, in this way re-awaken some of these things internally. One of the things that I know IBM did when they were looking at what does it mean to innovate for us and how does that link to how we think about things around diversity and so on. The guy that was in charge of that, Ted Childs, went into the archives. He looked at all the history IBM had of being an incredibly diverse company going back decades and decades, way before other companies. That became an internal story that was told. It’s like we’ve actually done this. We’ve been this. We’ve been thinking this way for a very long time. Let’s own that and truly understand what that means. That’s the setup of that. Let’s build on that as we think about diversity. Everyone has their whole idea of what diversity means. As you talk about intersection points, the ultimate coming together of different thoughts, ideas, passions, histories, is what creates all this innovation. Share a little bit more about how you think about this whole diversity equation and the intersection strategy. I see two major trends globally playing out now. One is around innovation and that’s the story that’s well-known. All of the world companies are looking to innovate, entrepreneurs are looking to take out existing companies and so on. Another trend is around diversity inclusion. It is everywhere. It’s not just in the US. It’s all over Europe. It is in Asia and you’re seeing it in Africa and Latin America. It’s mind-boggling and these two trends are accelerating. The fact that they both have been growing is not an accident because they’re linked. They are connected. How are they connected? I like to say that diversity drives innovation and in fact, I consider the key charge for company now as they think about how they transform to prepare themselves for this world is looking at the rise of diverse inclusive teams because you are going to have to understand how to either be part of it, lead it or help create it. The Medici Group is the firm that I started based off of these set of ideas. We worked with all kinds of entities all over the world in this regard. We think of diversity in a couple of different dimensions. One is who you are. Your background, that has to do with your gender, your race, your sexual orientation, your age and so on. It has to do with what you do. That’s your education, the function you’re in, the industry, the discipline. It has to do with how you do it. That is are you extroverted or introverted and then it has to do with who are you doing it. That’s your networks and your communities both inside of a company and outside of it. What we’ve found is that if you take the innovation cycle and simplify it as much as possible, how do you create ideas? How do you select ideas and how do you make those ideas happen? Diversity and inclusion are key in driving each of those elements. Most people understand the first part like creating ideas. If you got a different perspective, you get better at doing that. What we’ve seen the true benefit of that coming into is how you execute ideas and how you make them happen. Inside of companies, we work with thousands of thousands of teams all over the world. We can now look at a team, we can look at the constellation of that team and we can say this team has a much better shot at making that idea happen compared to that team. The key driver of that is the diversity of that team. I love what you’re saying in regards to these dimensions, the layers of diversity because they are the things that we think about all the time that you started with. Even cognitive diversity, how I see the world and how you see the world is so different. We see that in leadership training. We have to understand the makeup of our teams and how they’re experiencing the world and all the things that are coming at them. I think the dimensions and being able to peel back those layers is so important. Do you think that brands and companies are doing enough in this area? If you’re a business leader, how do you do more and expand what you’re doing with diversity? Innovation: Teams that have figured out that they can use diversity to get themselves way ahead of the competitors, that’s ultimately where the Holy Grail is. This is the heart of how we engage with our clients. The short answer to your question is no. Honestly, it’s not even close. You can tell that there is a stronger interest in these questions now than there’s ever been. That tells us that there’s a direction to it. I believe based off of all the evidence that we’ve seen now working with companies everywhere that there is not a great understanding of how to actually make this happen. Even worse, there is an increasing differentiation between companies that do it well and those that don’t. Let’s say that you come from a diverse background. What type of team are you more likely to join? What type of company are you more likely to join? It’s got to be the one that is more diverse. We know this from a lot of research. That means that if you as a company is already a bit ahead compared to competitors, you guys are going to have an easier time attracting this type of talent and those that are behind are going to have a harder time. People make choices of where to go based on the diversity within that team. It becomes easier and easier to keep on accumulating like move ahead with your advantage if you have that. It’s a big deal because it suggests that you have to get started and start thinking about this now. The more you wait to try to address this issue, the harder it’s going to get to tap into this diversity. The second piece is once you have it, are you able to make use of it? Do people feel included or is it still this fact that, “We do have some diversity but mostly this is how we’re going to do things?” That’s the secondary piece. Are the behaviors there? Is the ability to tap into it there? The last piece is why are you doing it? Is it because you think it’s the right thing to do? We have a five-point scale that will measure companies against. Number three on that scale is that it’s the right thing to do. Number four, the second to the highest is that it’s a market-driven activity. You’re looking to reach out to your customers who are more diverse. Number five is it’s the strategic advantage and here’s what we see. Teams that have figured out that they can use this diversity to get themselves way ahead of the competitors, that’s ultimately where the holy grail is. There are ways to go for most companies to get to that level. There’s a definite understanding of the need that there’s still this emergence of the how. How do we get there and how do we do that? What we’re talking about right now is the human condition of even this interpersonal dance that we have with each other in the workplace all the time. I want to build on what we’re talking about and add even another dimension to it, which is this whole dynamic of connection in the virtual world. When we were all together in Silicon Valley, the focus of that summit was how do we manage this fourth industrial revolution? How do we manage these vast changes that are happening in our environment while not losing our sense of humanity and our sense of connection? Much of what you’re talking about with the diversity story and the intersection story is about humanity. The great inventions of the past and I’m not just talking about Reese’s Peanut Butter Cup, that is a great invention. Some larger inventions have come from unlikely places coming together, but yet we’re struggling with the human connection. I know we’re talking about this at work right now all the time. People are home office more. They’re using the computer more for communication. They’re out in different geographies and they were not necessarily bumping into each other. We’re not having these moments where new things are created by being together. How do you think about this whole technology and connection conversation? This is another great topic in the direction of where we’re going. If you’re talking about innovation, you never really have to talk about technology, but ultimately technology doesn’t innovate. Humans innovate, people innovate, which means that however you’re thinking about breaking new ground, whether that has to do with your branding and your product, your sales, whatever it is. In the end, it’s going to come down to people. How are these people creating new ideas? The way that happens is if you bring together the different perspectives and through these perspectives, you’re coming up with new combinations of ideas. You’re bringing together the idea of ice and you’re bringing together the idea of a hotel. You created the ICEHOTEL as a function of that. This is one of those Swedish tourist attractions, the ICEHOTEL there. After you say it, it seems obvious. Beforehand it seems like it’s a completely crazy idea. Those connections are a direct function of the bumping into of the serendipity. In fact, my second book, The Click Moment was all about serendipity, all about the unexpected. The technology that we have, particularly the social media piece, which is what you’re getting at. What it tends to do and we know this, is that it does two things at once. One is it theoretically gives us access to far more people and far more diversity. Innovation: Our true opportunities, those that can make us differentiate and will truly make us stand apart, are neither logical nor rational. They’re unexpected. People feel the emotional rush when that happens. This mimics real life. We have this a-ha moment that came to us unexpectedly. We run into somebody at a party and they say something and we’re like, “That’s great.” This plays out in dating and this plays out in relationships. When two people meet and it’s completely unexpected, that meeting feels more meaningful than if they research each other completely down to the last paragraph. Then they meet up and now it’s a very structured game. It’s a human instinct to relate to and respond to the unexpected. Technology and social media are essentially trading the exact opposite of that. You talked about the unexpected and I feel like sometimes we have this love-hate relationship of the unexpected. On one hand, we’re so scheduled and we want to feel in control. You feel in control when you know what’s going to happen. You feel safe but then you get bored because of the unexpected. I love that you talked about serendipity. When something happens that you weren’t expecting and it opened your eyes to something new or something entirely new is created because you’ve connected with somebody else in a new way. I don’t feel like we’re bumping into each other and with the technology dynamic. As we think about the future of the corporate world or the future of work, and how do we keep stirring the pot and how these unexpected things happen, knowing the world is always going to give us the serendipity we do not expect. Some of it is created by us just bumping into each other and creating as we go. There’s a great story of Howard Schultz. He’s no longer the CEO of Starbucks. He’s trying bigger things. He’s working hard with that. We’ll see if that works out for him. He was a great CEO of Starbucks. In fact, he wasn’t the Founder. He worked as Director of Retail Operations. At that time, Starbucks didn’t actually sell coffee by the cup. Starbucks sold coffee makers and coffee beans. Then he goes to Milan for Houseware Conference because they sell coffee makers. He is on his way to the conference when he sees this espresso bar right next to him and he walks into it. Mind you, he’s never tasted espresso his entire life. He’s never tasted cafe latte his entire life. The future CEO of Starbucks has never tasted latte his entire life. He walks in and he tastes a latte and basically, he describes this as so shivering when he does because he believes it’s the perfect drink. He thought Starbucks has it all wrong. It’s not about the coffee beans or the coffee makers, it’s about this communal feel that you feel when you drink coffee together with others. Ultimately, he’s able to come back and he gets Starbucks on to a different track. Here’s the point of the story. He was there to go to Houseware Conference and he bumped into this other thing that happened and this ultimately gets Starbucks on a different track. Nowadays, you probably would first of all not even looked up to have seen the espresso bar because you’re there on your phone. What would you be doing on the phone? You set up meetings at a houseware conference with the people that he logically figured would help him. It’s probably people who are in the houseware industry. What’s a compliment of the coffee makers? Maybe this is somebody who’s making coffee filters. I should absolutely meet that person. What you’re seeing is that through technology it is enabling us to further accelerate what seems logical and rational. Our true opportunities, those that can make us differentiate those that will truly make us stand apart, they’re not logical. They’re not rational. They’re unexpected. They’re the top of things that our competitors would never even think of. Simply because they’re not logical. Here we are creating this dynamic where we are removing ourselves from these unexpected moments. Hence, we have to re-engineer them back in again. We have to actively say, “I will seemingly waste time on something. I don’t know what it’s going to lead to. I don’t know what this person’s going to do for me, but I’m open.” It might lead to something interesting. Sometimes it doesn’t, but sometimes it can be a complete game changer to your career, to your life, to your job, whatever it is. I think what you’re saying is powerful and true. Some of the VCs that I’ve met in the Valley as we’ve been working with some of the startups there, one of the rules of the Valley is you always take the meeting. They always take the meeting. The other piece that comes up for me is there are all these articles out now about boredom and what creativity is birth from being bored. How are our children now entertained 24/7 and when was the last time they looked at a cloud to see if there was an animal in the cloud? They hardly look up. It is a crisis of connection. It’s something about how do we re-engineer it? Is it about just waking up to the fact that we have to put space in our lives? This has come up in a couple of leadership conversations on this podcast. This need to do, this need to be productive and to achieve is taking out the spaces that could create something even more special. It’s a conversation of our time. Here’s how I like to think about it. We could say for instance that you need to take a moment out and you need to not have this focus and whatever your focus on it, but it’s hard advice to follow. Most people say, “I got you,” but it’s hard advice to follow. It falls back to this trap essentially of nonstop emails, texts. What I like to say is the best way to re-engineer it actually comes through diversity. If you’re going to be focused on something, if you’re going to be driving on something, if you’re going to be hard charging on it, be hard charging on introducing diversity into your career, your life, your opinions, because the unexpected comes from that. Innovation: We find ourselves busy doing a whole bunch of stuff that, in reality, if we’re more mindful about it, we wouldn’t fill time with. If we’re going to be hard-charging, take a moment to figure out what is it that you’re curious about and then be relentless about pursuing that. Those are two pieces that are introducing diversity. Don’t always go to conferences that are within your industry. Go to another conference. I was talking to Chief Diversity Officer at Nike, Gina Warren, where she was working there. She said that she rarely went to diversity conferences. She went to design conferences and architecture conferences. What she got from that when she got back to her office, she had so many ideas that became a transformative effort for Nike. I even played a big part of that actually because she was seeing things that others would not see. I think that it’s so important because we get into a group and we swim around in our certain tank. If we don’t get out of that, it happens quite innocently. Days go by, we’re busy and we don’t think about changing the scenery a little bit. One of the things we’ve been experimenting within the team is something we’re calling Creative Immersions. Go and find something completely away from your specific customer portfolio or what you’re doing every day. Go shadow someone or go work with an agency or go to a conference off the beaten path. Do something to shift gears and how the lens on the world and how you’re thinking about things. It’s so powerful and of course, we come up against the same barriers all the time. I’m busy, development. Going to expand into trails of curiosity, the things that tend to happen to people is, “I’ll do that tomorrow. I’ve got too many emails.” The whole future, “In the future, I’m going to do this.” There is this critical need for the now to bring disruption and switching gears into the now because by doing that we colonize such a different future for ourselves and staying in our patterns. The work that we are doing and the particular direction we’re going out as a company is about transforming our clients. Truly transforming them saying, “Even if your people have this behavior, is your organization capable of accommodating these behaviors?” If the answer is no, which is always is, there has to be a shift but the leaders have to model this. I had conversations with two CEOs where one took about five months to get on the agenda. The reason was that this CEO’s agenda was scheduled for about ten to twelve months out. It was astounding. It’s like, “Actually, I know exactly what’s happening on the 18th of June at 2:00.” I’m like, “What?” It makes no sense. The second CEO, a much bigger company and also very busy, but was able to make his adjustment within two days. Then I say, “That CEO can’t be very busy.” No, what the CEO had done was built in very structurally time that couldn’t be filled out until maybe 24 hours beforehand. That’s every couple of times a week. It means that this CEO is capable of quickly pivoting for a new opportunity, “Here’s something interesting, I’m going to go do it.” There’s something else, “I’m going to do that.” In the first case, that CEO had a very hard time being able to adjust to the immediate thing that came up. What’s interesting about that is even if we have time on a calendar, we allow it to be filled out until there’s no time left with answering emails and researching. We find ourselves busy doing a whole bunch of stuff that in reality, if we’re more mindful about it, we wouldn’t fill our time with. What I would basically suggest here is to make sure that you have time to ask yourself that if somebody came with a mind-blowing opportunity to you right now, would you have the capacity to process it or do something with it? If the answer is no, you probably have too tight of a packed schedule. It’s a very important question for all of us to ask because there is this tension that we’re holding between being productive and being open. There’s a phrase that my team knows I use this all the time, that life is often the intersection between where you put yourself and where you find yourself. It is okay, I have a plan. There are all sorts of research that says you write down your goals, you set your intention, you know where you’re going to go. Those people tend to get there. There are lots of research around that. When there is a rigidity to the plan, so much so where something unexpected comes in that you can’t pivot into some level of exploration of that, you could lose out on a pathway that so much more powerful. You might meet your original goal but what if there were a better goal and a better plan by pivoting? I would say we live in an era where that is increasingly true. In my second book where I was exploring this over and over again, what we see is the true game-changing opportunity for somebody or a company virtually never came from whatever it was that you had planned out. Yes, you have a plan and you execute on that and you’re making progress and that’s great. Then something unexpected happens. If you’re able to move on that, that becomes the true breakthrough. YouTube starts as a dating app and improving all that. It’s a dating app. It’s not a good dating app by the way, but it’s a dating app. Then somebody goes to dinner. They filmed that dinner. They had no idea where to share that movie. Basically, they realized that their software can help in that process and they pivot into that. The same with Pfizer. Pfizer created Viagra not because they were trying to solve the problem around erectile dysfunction, they’re trying to solve the problem with the heart. Originally this drug was meant to solve a problem of the heart and ultimately, they found something else. That drug wasn’t very good at doing that, but they could have stayed focused. They could have said, “We’ve got to solve this issue.” Then they saw some something else in the data and said, “This is another opportunity,” which of course, it became the best-selling drugs of all time. Over and over again, this is what tends to happen. The true breakthrough happens in that way. Bill Bowerman at Nike is working on improving a shoe and he realized that if you use the waffle pattern for the sole you can create a better shoe. Do you capitalize on that or do you stay focused on the goals you set out for yourself? I believe it’s helpful to have goals absolutely, but they should be seen as a guideline. They should be seen as something that you can execute on, but you have to be open to the fact that those goals could be wrong and something else must be more interesting that comes along. Innovation: The future itself is unpredictable. It suggests that you have to incorporate new experiences and elements into your life because the world itself is trending. Let’s put ourselves in the shoes of our audience. You might be a CMO. You might be a leader within a corporation leading a large team. You might be a marketing professional. You’re reading this and you’re saying, “Yes, I need to hold this tension between my schedule and my creativity, but it’s hard because the expectations are increasing. There are so many competitions and what if I’m wrong and how do I balance it?” I know that this is a much deeper conversation that can be had with you, but what is your advice in this arena for how to begin to adopt some of these practices? I’m a big believer that people need to start from where they are. What’s helpful for one person might be different for somebody else. One of them is to be self-reflective. It’s like, where am I on this journey? What is it that I can make you move on? How can I act perhaps a little bit different in this particular situation? That’s my caveat here. I’m laying that out up front, but that said, I definitely believe that the way we operate and the way we act as humans is largely intuitive. What we have seen or experienced is working we tend to do. What we’ve seen or experienced is not working, we tend to not do. Then that becomes our intuition when we guide others, our mentees. We’ll say, “Don’t do that because I tried that out and that didn’t go so well. Here’s the piece of advice. I would think differently about it.” That’s a conversation that almost everybody’s listened to or has probably have to somebody. That suggests that we have to alter intuition on these matters, which means that we have to start having a string of examples in our life where we tried something different and it worked out for us. Once we start having that, it starts becoming part of how we operate and we don’t have to overthink it. No one’s going to stop and pull out a binder with a framework in it, look at page eighteen and say, “Here’s what I’m going to do now.” That’s not how we work. We’re way too busy for that. It needs to become part of our being, part of our natural set of actions. This is basically what we do with leaders over and over again. Find something small and do it enough so you’ve had a positive experience of it. Don’t do it just for the cause. Do it so that you can feel this led to something much better. Reflect upon it, the fact that it was better and make that become part of your intuition, of the decision making that you have. You’re not going to do it every time, but if it now becomes part of your toolbox, you’re going to start doing it more and more. The advice I would give the audience is to find something. What is the next opportunity you have? Is it to do something that is a bit off the beaten track? Is it to invite diversity into your next meeting? Is it to do so in how you think about a solution for your clients? Is it by explicitly going against the obvious assumptions that you think needs to happen? Outline what is the obvious things that you believe needs to happen and then simply reverse it and say, “I’m going to pick one of those things and see what happens.” Be prepared to do it more than once because you might get unlucky and it doesn’t work. Now you’ve got to take the wrong lesson from it. If you set up as a pattern, if you find yourself doing it over the time, in my opinion, it is inevitable that you’re going to start seeing the power of this approach, particularly nowadays where things move so fast. When your ads are what’s different particularly in the marketing sphere. What is different? How do we stand apart? That has to be the overarching question that you’re looking to solve. Ultimately, that comes from the unexpected. You have to develop your intuition around it. You have to see that it works and once you do that, we start seeing that playing out in other parts of your life. I hear you saying a few things in that answer. That we can start small. We can take baby steps and the occasional failure is still a beautiful teacher. Only when we try something different are we going to be in discovery and sometimes that difference is going to fail and that’s okay. This can also happen in our personal lives. If it’s a muscle we’re learning to flex, maybe one weekend we go do something very different personally so that we learn how to switch our gears. We get out of patterns and comfort zones that we all crave to a point because it’s safety for us, but it keeps us thinking smaller than expanding out into a bigger playing field of new experiences. We’re finding that the old tricks are working less and less. Here’s an example. I can ask right now five experts in retail, what’s the future of retail? I’ll probably get five different answers. If that’s the case, what does it even mean to be an expert anymore? If everybody’s given different answers, it suggests that the future is very hard to predict. In other words, the future itself is unpredictable. It suggests that you have to incorporate these elements into your life because the world itself is trending. You’re looking at a trend, that’s the trend. Figure it out if it’s a weekend, if it’s a meeting, if it’s even the book that you’re reading, introduce diverse perspectives so you can have unexpected insights. I think from that, you will see opportunity flow. You mentioned the word intuition. We were very used to thinking in terms of logic and you mentioned data. There are a lot of advancements in data and being able to mine that data for new narratives and how do we develop insight. The core of insight is connected intuition. As much as machine learning advances, something that is at the core of being human is the ability to have a knowing that’s not always backed up by data. Something that is driving us to a specific direction. This conversation is a full circle because only in the space can you tap into a deeper intuition that all of your experiences are leading you into. It’s a tension between structure and openness but one that is very powerful. You said it. There’s a tremendous amount of focus on AI or machine learning. I give talks about this all the time. Let’s take a moment to look at successful companies that are known to use this and what exactly are they doing? Let’s take Netflix. We know that they use a lot of AI to help them understand the selections of TV shows and movies. It helped the viewers to figure out what is the best next thing you should watch, but they’re hiring people. They’ve been essentially raiding Disney, particularly for diverse talent. They’ve paid Shonda Rhimes $150 million. It’s a lot of money. Why, if AI can give us all the answers? In fact it can’t. It can do something. It can help. It’s enabling people in some ways, but ultimately, it’s still going to come down to the people. Netflix would never spend that millions and billions on talent if that wasn’t true because they have all the AI. They’re one of the world’s leaders on that front. What you’re seeing is actually the merging of this. This is a true intersection of this, but that’s always been true. Innovation has always been the merging of technology, of new methods, new technologies and human creativity as to what we can do with all that. That still is happening now. Frans, I have so loved this conversation because everything we’ve talked about is the genesis of how we’re going to create this new and remarkable future ahead of us. I want to ask one closing question and you can take this wherever you’d like to go. I like to ask, is there like the most powerful piece of advice you ever received from anyone? Please share it but also in this last question, any closing comments that you want to add on as we conclude? I’ve enjoyed this conversation as well. Thank you. This has been great. I do think these are the transformative questions that both people and organizations are facing right now. It’s a blessing to be part of that journey and to be part of that solution and the thinking around it. In terms of the most powerful piece of advice, the one that I go back to repeatedly is going to perhaps sound very basic here, but my dad did say something to me that resonated. It’s as simple as this. Just remember, whatever else gets thrown at you, whatever doubts you have, go back to doing what you love. That has to be the guiding light because that is how you are going to stand apart. If you do what you love, you’re going to be more creative. If you do what you love, you’re going to work harder. If you do what you love, even if it doesn’t work, you’re going to love it because you love it. This thing I think about. Even now, I go back and think about that piece of advice when sometimes the road might seem slightly murky ahead. That guides me. That’s what I would conclude. Do what you love. That’s what I would say to the people that are reading this. That is a beautiful way to end this great conversation and I agree completely. It ties back to passion. It ties back to meaning and purpose. When we’re aligned with all of those things, that’s where the magic happens. Frans, thank you so much for taking the time to have the conversation. I’m so grateful. Johansson has advised executive leadership from many of the world’s largest companies, including BAE Systems, Caterpillar, MetLife and Nike, as well as start-ups, venture capital firms, government agencies, and universities, and is the founder and CEO of The Medici Group, an innovation and strategy consulting firm. He is the bestselling author of The Medici Effect: What Elephants and Epidemics Can Teach Us About Innovation, which was named one of the “Best Books on Innovation” by BusinessWeek, and one of the Top 10 Best Business Books of the Year by Amazon.com, and The Click Moment: Seizing Opportunity in an Unpredictable World, which builds on how to rewrite the rules for success. A regular feature in the media, Johansson has appeared on networks such as CNN, ABC, and CNBC. Johansson sits on the Diversity Board of Novartis, has founded a software company, an international healthcare firm, and a hedge fund. He holds a B.S. in Environmental Science from Brown University and an M.B.A. from Harvard Business School.